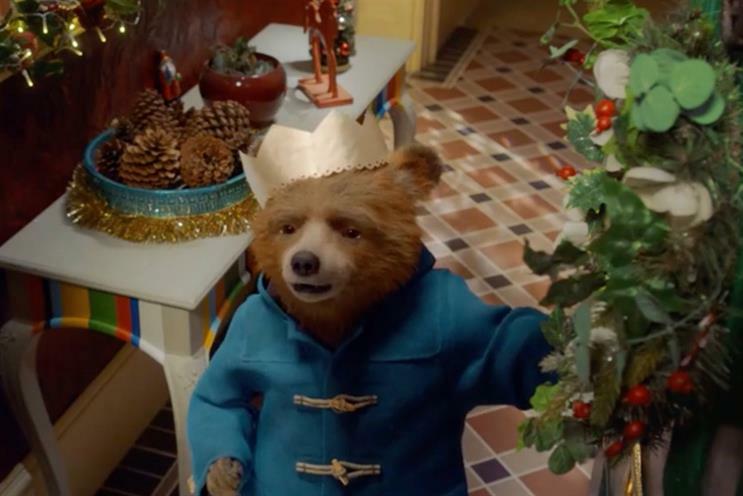 The boss of Marks & Spencer has defended the brand's Christmas ad campaign starring Paddington Bear despite the company reporting a like-for-like sales decline. The well-received ad did not stop M&S from reporting a 0.4% like-for-like annual drop in food sales and a 2.8% annual like-for-like decline in clothing and home sales for the 13 weeks to 30 December. However, chief executive Steve Rowe told Campaign, the marketing achieved what the retailer wanted. "It helped us appeal to families and drove a good season on gifting," he said. In the ad, created by Grey London, Paddington inadvertently saves Christmas for his friends and neighbours by confusing a Christmas present burglar with Santa. The ad was linked to the release of the Paddington 2 film and M&S put the bear on display in every store window. It carried more than 90 themed products including children’s pajamas, plush toys and Paddington’s favourite food, marmalade. Both online and store revenues grew following the campaign’s introduction at the beginning of Noevember, but today’s quarterly figures were dragged into declines by a poor October. Rowe admitted to analysts the company had lots to do to catch up with other retailers in the slickness of its online operation. "It's fair to say we haven’t performed as well in online as the market, and we have more to do to make it a leading edge proposition," he said. "We’ve got to make sure our speed of site and speed of distribution gets better."